Lucy Gorham is a designer with an endless portfolio. She specializes in residential design of custom homes and renovations, providing architectural services from schematic design to engineering. All projects are customized to suit your needs as a client, homeowner or builder. Residential design firm with a focus on coastal houses. Located in Yarmouth, Maine, Leandra has a passion for creating exquisite, traditionally-minded spaces with unexpected touches of pattern and color. A Harvard graduate who studied architecture and design at the American University of Paris and the Boston Architectural Center, Leandra brings an energetic perspective to each project. Working with her clients to understand their lives and lifestyles, she’s able to create homes that are functional, comfortable, and beautiful. Richard Renner | Architects, a full-service architectural firm with offices in Portland, Maine and Sherborn, Massachusetts, is a richly varied practice creating inspired places for living, working, and learning. Environmentally responsible design is a cornerstone of the practice, and for over a decade, the firm has expanded and refined the process of designing effective “green” buildings. 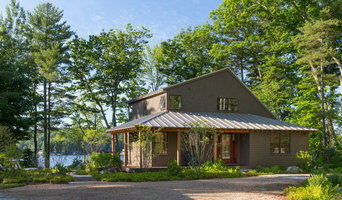 Art Form Architecture was founded by architect Wendy Welton in 2000 and incorporated in NH in 2001. 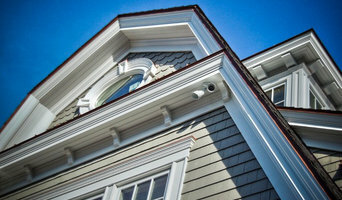 Our focus is primarily residential with select commercial projects. We are an architectural design company that offers many areas of services. Our clients love the home-plans we have offered for many years now, but we also have a variety of other services that may help you with your needs. If you have a renovation or addition project in mind, we offer house call services that involve an on-site consult and site measure. Wendy Welton, our architect will help you to discover new ideas and turn your dream space into reality! Art Form also offers commercial architectural design as well! We have recent projects such as a restaurant, retail spaces and an apartment building! Check out our portfolio for pictures and details! Merrimack Design Architects provide comprehensive architectural design and preservation services for residential, institutional and commercial clients. Our practice is built on 30+ years of practical experience designing buildings in the Boston area and throughout the Northeast. We draw on our knowledge of of architectural history and regional building traditions to design form and spaces in harmony with the surroundings. We create custom-tailored designs reflecting our clients’ individual needs and desires. Our core principles are to serve our community, conserve finite resources and advocate for preservation, smart growth and New Urbanism. Our studio is located in Exeter, a quintessential historic New England town on the New Hampshire Seacoast. We take your rough sketches and ideas and turn them into floor plans, elevations, or three dimensional renderings. 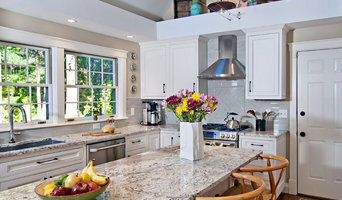 We have been successful remodelers for 30 years. Giving us the insight and creativity needed to produce effective results. We use your input to create a custom space to your liking! Knowing that even a kitchen or bath remodeling project can be a complicated and stressful endeavor, with our careful planning we will lower this stress level! Some designers do not have the needed field experience to be practical. They may be creative, but when you start getting bids from contractors, you may find that you will not get all the house you want, due to the high cost of the construction. We use architectural cad software to produce highly detailed drawings & renderings. You will receive them via email or can download them from a cloud service. At Peterson Design Group we create custom homes specifically tailored to satisfy and delight the homeowner. Relationships developed over the last twenty years result in many repeat clients. We are pleased that the majority of our work is from referrals and we look forward to working with you on your next home! A full service Architectural Design, Consultation, and Construction Management company. Cumberland's premier home builder with the capabilities to turn all of your home dream into a reality. 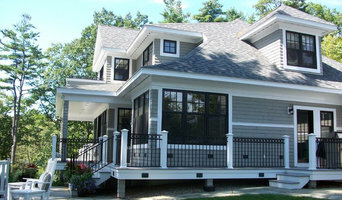 From start to finish Joseph Waltman Architectural Design will work with your ideas and help build the home you desire! At AECm we are intrigued by building infrastructure and how it impacts our quality of life. Through innovative and practical design solutions we reduce energy consumption, improve durability, and enhance occupant comfort. Sustainability is inherent to AECm’s design approach. Through a holistic view of the built environment, we deliver practical architecture-engineering solutions that preserve natural resources, optimize facility performance, enhance occupant comfort, and revitalize communities. We focus on an integrated design that considers best practice measures. Winton Scott Architects has been in business in Portland's Old Port for over 35 years. We are a small, design focused practice offering hands on, personalized services to our clients over a broad range of project types and sizes from large scaled commercial and institutional work to custom homes. The Code Inspector will request plans for a permit. The Bank will request plans to apply for a construction loan. The Builder will use plans to give you an accurate proposal. The Supplier will need plans to create a thorough materials list. The Builder’s job will be predictable and complete on schedule. The Client (you) will create the house that matches your vision. Skill & Experience My name is Mark Saintonge. I have been designing and planning new homes, apartments, additions and remodels for over 25 years. My clients include several builders and contractors in the region. No job is too small and an accurate plan will save you time and money. Next Step, First Step You are welcome to call me any time to talk creatively about your project. I will share some ideas, and if we click, then let’s share more information and see if we can work together. Our goal isn't to meet your expectations, it's to far exceed them.